Te Rotorua-nui-a-Kahumatamomoe – “The second great lake of Kahumatamomoe” is known for many points of interest, namely the geothermal activity and celebration of Maori Culture and Heritage. 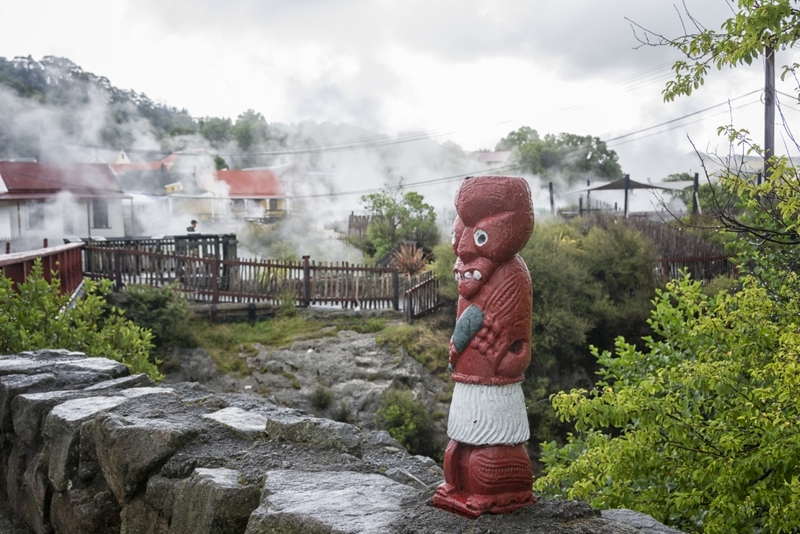 Another name you could call Rotorua is “Sulphur City” because of it’s Hydrogen Sulphide emissions which give the “rotten eggs smell” – It has to be experienced to be believed! The Geysers and thermal attractions are impressive wonders of nature. The most famous thermal activity was the eruption of Mt Tarawera in 1886 which destroyed the beautiful pink and white terraces and buried the town of Te Wairoa. If you are looking for smaller shows of eruption than that, check out Wai-O-Tapu Thermal Wonderland or Waimungu Volcanic Valley. Lord of the Rings first graced the big screen first in 2001 and has since brought New Zealand’s landscape to the world stage. The Hobbiton Movie set in nearby Matamata has become a must do for fans from around the globe to experience the life of Hobbit’s up close! If it is the culture aspect you are here to see Rotorua has the Buried Village, Sheep show, Hangi’s and concert show’s showcasing New Zealand’s traditional Maori customs. Or take a compete laid back approach and soak in one of the many thermal pools available.